Do you know who produced the first Kenyan local feature film? His name was Sao Gamba and he was a very talented artist. He could produce movies, paint, draw and sculpt. It is sad that robbers ended his life so prematurely. 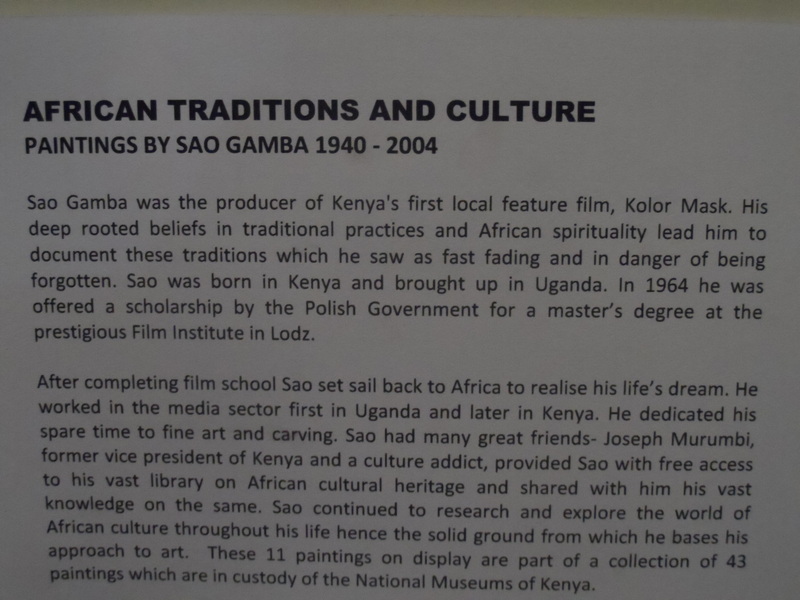 I go to the Nairobi National Museum often (sometimes monthly!) and last month when I got into the exhibition hall, I was pleasantly surprised to find Sao Gamba’s work on display. I went on to take photos of some of the work on display. They mentioned that 11 pieces were on display but from my count, I identified about 20 pieces. Feast your eyes on these African paintings that depict some of the customs practiced by the Luo community. For more of Sao’s work, please visit his Facebook page.